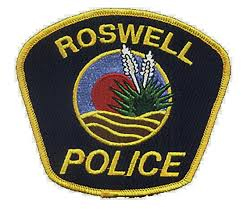 Roswell Police Department investigators are asking for the public’s assistance in solving a drive-by shooting that left a Roswell woman dead. The incident occurred around 10:30 p.m. Wednesday at the Sunrise Mobile Home Park in the 1200 block of West Hobbs Street. Multiple gunshots were fired, striking two mobile homes. One of the shots penetrated the home of Tess Jauregui, 33, and she was pronounced dead at the scene. Other individuals were present in Jauregui’s home, as well as the second mobile home struck by gunfire, but none of those people were injured. Anyone with potential information regarding this ongoing homicide investigation is asked to call the RPD at 624-6770 or Chaves County Crime Stoppers at 1-888-594-TIPS (8477).